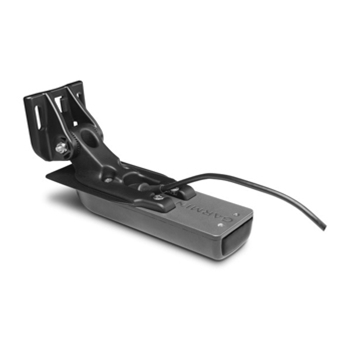 The Garmin GT20-TM has a molded 20 ft transducer cable and built-in fast response temperature sensor. Power rating of 500 W; a max depth of 1,600 ft traditional and 250 ft ClearVu. It provides a frequencies of 77/200 kHz (traditional) and 455 kHz & 800 kHz (ClearVu). Compatible with Garmin echo dv/cv Series Fishfinders. This transducer replaces model GAX12758 010-12758-00 CV20-TM .